Martha Berry writes that she has been informed about Mrs. Marquand's death, and tells about what a dear friend she was personally and to the schools. 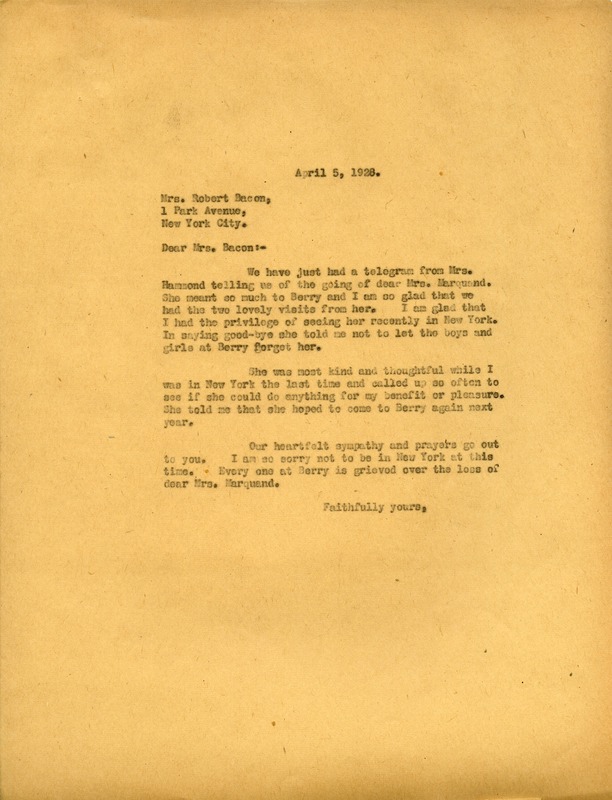 Martha Berry, “Letter to Mrs. Robert Bacon from Martha Berry.” Martha Berry Digital Archive. Eds. Schlitz, Stephanie A., Sherre Harrington, Chelsea Risley, Alan Henderson, et al. Mount Berry: Berry College, 2012. accessed April 21, 2019, https://mbda.berry.edu/items/show/6584.